No matter what form of precipitation water takes in a storm – water or ice – both can cause considerable damage to homes and buildings. 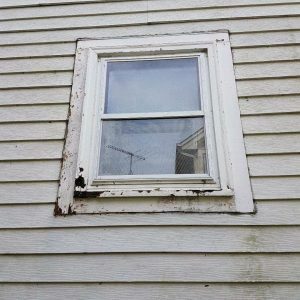 Heavy rain can result in roof leaks, basement floods, and even mold while ripping winds can blow debris around to crash into windows and siding. Hail storms can be just as dangerous, causing injuries, breaking windows, and denting metal. But regardless of the type of storm, the damage must be addressed by a storm cleanup professional. Finding hail damage on particular surfaces, such as windows, siding, and even your car can be easy to find – just find the dings and marks. But when it comes to discovering damage on your roof, identifying and preventing potential leaks can be difficult. When it comes to protecting your internal property structure, maintaining your roof’s condition is critical. Many homeowner’s insurance policies will cover the damage to the roof caused by hail, but it must be assessed and identified correctly. They will also want to involve a professional roofing contractor before covering the costs. When checking a metal roof, inspect the vents, flashing, and metal valleys for dents. Especially if the metal is soft, you may notice the size of the hail damage. Be careful when climbing up the roof – make sure that the ladder is secure against the siding. Inspect the ridge cap carefully for signs of damage. 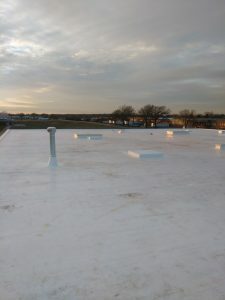 Because this area is flat and sits at the highest point of the roof, it is likely to receive the most damage. Inspect the shingles. When scanning for damage, be sure to check all edges for dents and cracks. Look for cracks in the shingles. Large pieces of hail can cause circular cracks on the shingles after a hard landing. Missing pieces of asphalt will indicate signs of damage. If you find any shingles that expose black substrate, they will need to be professionally repaired before next rainfall. Check for bruising in the shingles. This kind of damage cannot always be visible, so you will have to feel for small dents, pressing to see if you can push it in. If so, the area has begun to deteriorate. If you look around the sides of the roof to the gutters and downspouts, you may find them dented or dinged. Gutters with significant damage will need to be replaced to prevent blockages and water seeping into the foundation. Just make sure to have it done by next rainfall or you could be facing bigger problems. Depending on the severity of the hailstorm, property’s siding and windows can also be damaged. Signs of impact can include dents and dings, especially if the size of the hail was large. Any other metal surfaces on the roof, such as soffits and flashing can be damaged in addition to the gutters and downspouts. Moving to the ground level, metal items such as the air conditioning or HVAC unit can also be damaged from the falling ice. Thankfully, many homeowners insurance policies will cover the repair or replacement costs, but after an inspection report from an HVAC contractor. Hail damage to the deck can be easier to find, due to paint chipping. But unless if you want to replace a few of the wooden boards on the deck, it would be easier to paint over the exposed wood. Ignoring the damage caused to a roof after a hail storm will only lead to bigger problems down the road. Taking the time to find dents and dings in shingles can help to determine if they can be repaired or it’s time for a new roof. Nevertheless, a professional roofing contractor, like Reliable Roofing, can provide free estimates for roof repair and replacement services. They can also help to determine which plan of action is best for you after conducting a thorough inspection, providing a detailed report on the damages and recommendations for the best solutions. 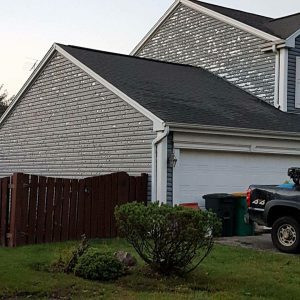 It is true that a property’s roof is the first line of defense against weather and other outside elements, but various building materials can take on severe damage during a storm. Destruction such as water damage, mold growth, and broken windows must be treated right away to prevent the damage from spreading. When it comes to restoring properties from storm damage, the professionals at ServiceMaster DAK have years of experience. Whether your structure needs a few repairs or detailed reconstruction, we can return it to its original condition in a timely manner. We can also provide free estimates and work with your insurance company during an open claims process. With our services, you can expect our restoration experts to be there when you need it most, delivery quality and efficiency with effective storm damage restoration.